It was sometime in December of 2004 when I experienced something breathtaking. 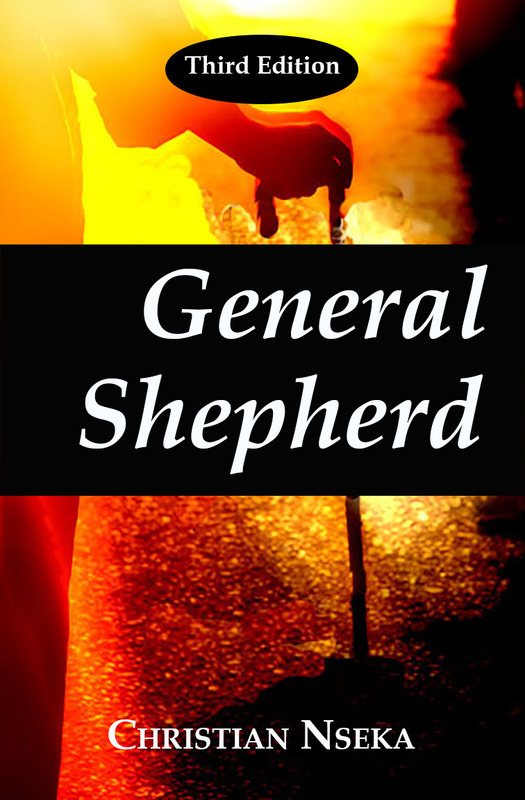 I don’t recall the exact date, but I remember that it happened close to Christmas, during the time I was still writing the first edition of General Shepherd. In those days, my morning prayer sessions used to be ninety minutes long. These ninety minutes were not all dedicated to prayer alone; there was, among other things, reading of Unification Church literature and sometimes meditation. I usually don’t go back to sleep after a morning prayer session. But on that particular day, I felt pushed to go back to bed after the prayer session ended. That was between 6:30 and 6:35 A.M. So I went back to bed. I don’t exactly know how long I slept or if I slept at all. Did I mention that I don’t fall asleep so easily when my head hits the pillow? But this time, I was out in a flash. The spiritual experience I had felt as if it lasted an hour or so. Yet, when I look at my schedule during that time of the morning, I don’t think it lasted that long. Actually testifying about this reminds me of people who have experienced their lives flash in front of them in what could have seemed like an hour-long experience even though, in reality, it could only have lasted a second, if not less. This usually happens to people in a brush with death. My spiritual experience began with me being in the middle of nowhere—an unfamiliar territory. Suddenly, out of the blue, appears this face in front of me. This person looked as if he did not want to be there. I was not sure whether he did not want to be with me or if he just did not want to be there. His expression—face and speech—was gloomy. He was a man of few words. He did not smile, neither did he look angry. He just was not happy. He introduced himself to me. There was no mouth movement, but I could hear a voice coming from him. This is how he introduced himself: "I am Moses. Come!" After saying those few words, he turned his back to me and proceeded away from me. The fact of having a gloomy face right in front of mine, and provided the way it happened, caused me to freeze. Then there was another voice. This one sounded as if it came from someone who was either standing very close to me or was attached to me. It also sounded as if it came from me. It’s difficult to explain. Anyway, this voice said, "He wants you to follow him." I looked around and saw nobody but me and the gloomy guy, who introduced himself as Moses, walking a few steps in front of me. After I got hold of myself, I took the first step. As soon as I took the first step, the whole scenery changed. I was yet in a different location—another unfamiliar territory. Everything remained dark around me, yet I could see almost clearly. I mean, the whole thing was happening as if in the night, yet it looked as if it was not night but a very heavily overcast day. The darkness in all these environments was not really night-like darkness. Especially in the last place where he took me; it was like a huge cave. More like an underworld. It felt as if the sun rays have never reached that environment. Ever! As soon as my guide realized that I took notice of my surrounding, he lifted his arm and pointed his finger as to tell me to focus my attention on what he wanted me to see. So I gazed upon the direction of his finger. What I saw there was appalling—people laboring in very poor and unhealthy conditions. It was filthy! And, suddenly, as if standing on a long invisible upward escalator, he progressively withdrew from me. Simultaneously, as far as I could see, there were layers of fingers pointing at me out of the dark. I could tell that they were attached to bodies, but I could not see any body. It was as if the bodies were camouflaged with black cloaks. There were voices shouting at me. Some voices were accusing me while others were mocking me. All the fingers were in a circular formation. There were an inner layer and an outer layer. Some layers were high up, others at the same level as I, and yet some others below the level I was standing. I don’t even recall if I was standing on anything at that time. The feeling was as if I was suspended in the air held by nothing. I felt ostracized. It was a moment of loneliness like I have never experienced before. I felt ashamed, abandoned, misunderstood, lost, depressed, shocked, afraid, confused, embarrassed, etc. Have you ever been in a situation when you felt like you wanted the ground to open up under you and just swallow you? Well, that is what I was feeling at that specific moment. It felt as if there was no way out. The desperation was immeasurable, the anguish unmanageable. It felt as if the whole hell was accusing me and mocking me. All was gloomy. No light in sight and no hope whatsoever. I felt like I was being wrongfully accused. People (or spirits) jumped to conclusion without truly investigating what happened. I felt like, though some of them knew what happened, they decided to ignore it and accuse me to the point where nobody else would be on my side. It was suffocating! Or should I say that it felt as if death would have been easier than that experience. Okay, I think this gives you an idea of what I experienced on that morning. It was in this type of spiritual atmosphere that the first edition of the book General Shepherd, which is now out of circulation, was written. Furthermore, it was by connecting once again to that foundation with more prayer, meditation, and research, that the subsequent editions of General Shepherd have been written. The third edition of General Shepherd reexamines the life and mission of, among others, Moses and Jesus. It also looks into the conception and birth of Moses and Jesus, explores details pertaining to the fulfillment of the mission of Moses, Jesus and John the Baptist, and examines whether or not the slavery of the Israelites in Egypt was the will of God. So when I came to my senses after my spiritual experience with Moses, my heart was beating so fast that I was shaking. I got hold of myself and tried to brush the whole experience aside by pretending that it was just a dream. The more I pushed it aside, the more I remembered it. The more I tried to ignore it, the more it was projected in front of my mind’s eyes like a movie till I accepted that it was not a dream. Thenceforth, I only had one thing to do—sit down and deal with it. In the process, I realized that Moses gave me a tour of his heart at the time that the Egyptian slave driver lost his life in his (Moses’) hands. Now this is when it became challenging. "The Bible reads that Moses killed the Egyptian slave driver. But now in this vision or whatever you want to call it, I learned that the death of the Egyptian slave driver was actually an accident. Who will believe me over the Bible?" This is how I thought to myself. There was only one thing I had to do: research. Actually, more than one. On top of research, I prayed and meditated. I prayed to Moses, Jesus, and the Holy Spirit for guidance and answers. And occasionally I had a heart-to-heart talk with God. But mostly, Jesus and the Holy Spirit were my contacts. Especially the Holy Spirit. Among the things I realized through my encounter with Moses, one of them was that he looked gloomy because he did not want to relive that gloomy moment. Another was that there are many hidden commonalities, in terms of mission, between Moses and Jesus. For instance, I realized that some of the feelings that Moses made me experience, which were actually his feelings at the time the incident of the Egyptian slave driver occurred in Egypt, were also some of the feelings (if not all of the feelings) that Jesus experienced during the last days of his life on earth. One difference is that Jesus overcame them, but Moses did not. Luckily, Moses did not die at that very moment. He was given "another chance." This allowed him to go to the desert of Midian where he spent forty years. And when he came back to Egypt from Midian, he was able to gain the trust of the Israelites who ended up following him out of Egypt. Can you imagine what would have happened if a similar opportunity was presented to Jesus? Jesus overcame death before he died. Now can you imagine what would have happened if, instead of facing the cross and dying, he was given a (second) chance of reestablishing the foundation upon which to obliterate evil, subjugate Satan with love, save humanity, and establish the Kingdom of Heaven on earth (without leaving Israel)? Why do you think Jesus took Peter, James, and John to Gethsemane (Matthew 26:36–56; Mark 14:32–42)? Think about it. There are a lot of similarities between the mission of Moses and Jesus. You can acquaint yourself with some of them by reading the third edition of General Shepherd. General Shepherd extensively elaborates on the fulfillment of the mission of the Messiah. It looks at God’s historical work of restoration in light of God’s ideal. And it also reveals many hidden secrets that everybody needs to know in order to forge a better relationship with Jesus as well as the Returning Lord. I invite you to read the third edition of General Shepherd: A New Perspective on the Mission of the Messiah for it is a book that will equip you with a new perspective that will awaken in you a new understanding of God’s ideal and will. This understanding will help you unlock even more heavenly secrets that will enlighten you and give you something that you can treasure for the rest of your life. Click here to purchase a copy of the third edition of General Shepherd from amazon.com. "Helping build God's Kingdom one step at a time."